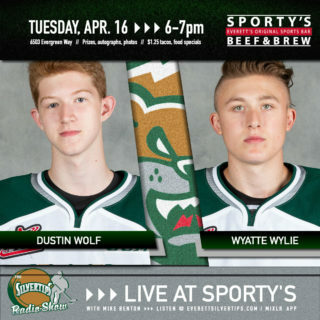 SPOKANE – The Everett Silvertips killed off the first six Spokane Chiefs powerplays of the game and built a 3-0 lead on their way to a 3-1 victory in Game 4 of their first-round playoff series Friday night at Spokane Veterans Memorial Arena. The ‘Tips now hold a 3-1 series lead with an opportunity to win the series and advance to the second round in Game 5 Saturday night at XFINITY Arena in Everett. Nikita Scherbak and Brayden Low set up each other’s goals to finish with a goal and an assist each, while Remi Laurencelle drew assists on both scores as well. Logan Aasman scored the other Everett goal and Carter Hart (3-1) was solid again with 34 saves on 35 shots. The ‘Tips killed off six of seven Chiefs powerplays on the night. Special teams were the story of the first period and Everett’s penalty killers came up big, killing off four Spokane powerplays including a minute-long 5-on-3 advantage. Led by Carter Hart’s 17 saves, the Silvertips kept the Chiefs off the board. The ‘Tips were unable to capitalize on two powerplays of their own as neither team lit the lamp in the first 20 minutes. The ‘Tips opened the scoring early in the second period as Graham Millar powered down the wing to the net, where Logan Aasman followed up by jamming the puck through goaltender Garret Hughson and into the net for a 1-0 lead. Everett killed off another Spokane powerplay midway through the period before doubling the lead at 11:54. 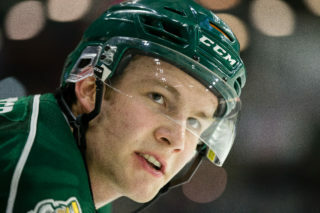 Brayden Low got the puck off the rush and gained the zone before slipping a pass to a streaking Nikita Scherbak, who made a quick move around Hughson from close range and tucked in his first career playoff goal for a 2-0 Everett edge. The ‘Tips outshot Spokane 10-5 in the second and were 6-for-6 killing penalties through 40 minutes. 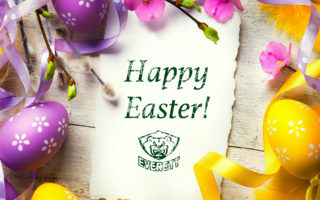 Although the Silvertips were unable to extend the lead on an early third-period powerplay, they did so at 6:48 when Scherbak skated past a defender in the Spokane zone and centered a pass to Low, who fired the puck home for a 3-0 Everett lead. The Chiefs finally broke through on the powerplay with a rebound goal from Kailer Yamamoto later in the period to get back within two. Spokane pulled the goaltender for an extra attacker with 2:43 remaining, but Everett maintained the 3-1 to the final horn. Garret Hughson (1-3) made 19 saves for the Chiefs, who finished with a 35-22 shot advantage. 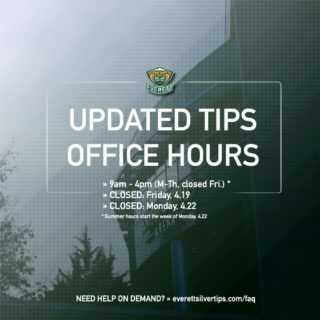 The Silvertips were 0 for 5 on the powerplay. The teams will now travel back across the state to face-off again in Game 5 of the series Saturday night in downtown Everett. 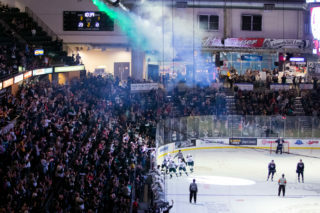 Opening faceoff is set for 7:05 pm at XFINITY Arena as the Silvertips look to clinch the series victory and advance to the second round of the WHL Playoffs.